Telling stories with perspective. 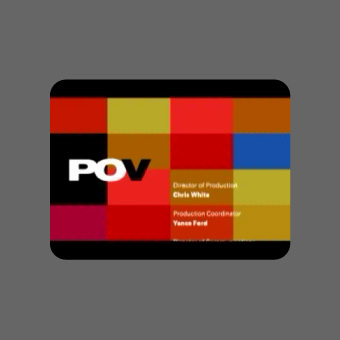 POV has been showing documentaries on PBS for fifteen years. 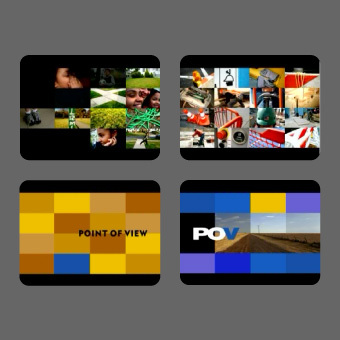 For the 2002-2003 season, we redesigned the show, incorporating photography by Jorge Colombo, the new POV logo by Lucille Tenazas, and music by David Byrne. The show open is a kaleidoscope of images shot in seven locations, each representing a part of everyday life: playing, working, thinking, exchanging, gathering, learning and moving. The grids of images correspond to grids of color which appear throughout the show. 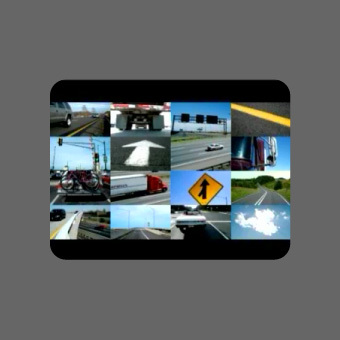 · Watch the POV open (QT, 4.2 MB). · See more of Jorge Colombo's work. · Find out more about POV.